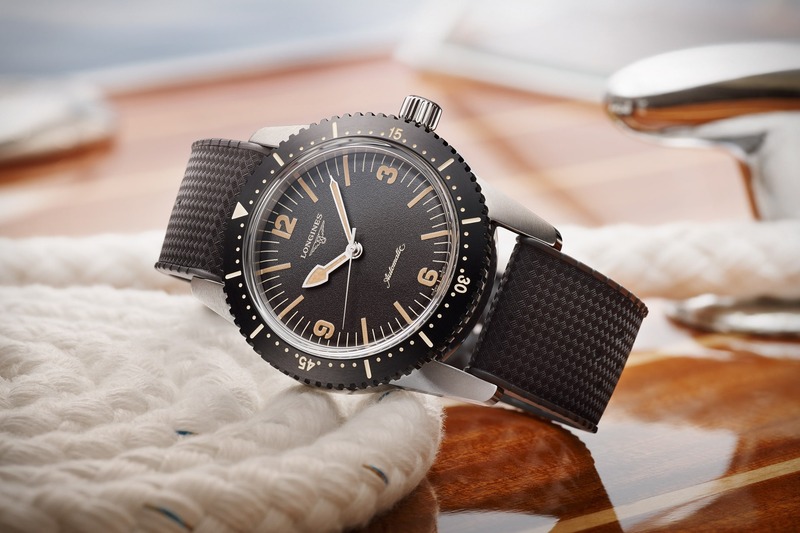 At Baselworld, in celebration of the 180th anniversary of Longines, the Saint-Imier brand revealed a number of attractive vintage inspired timepieces. 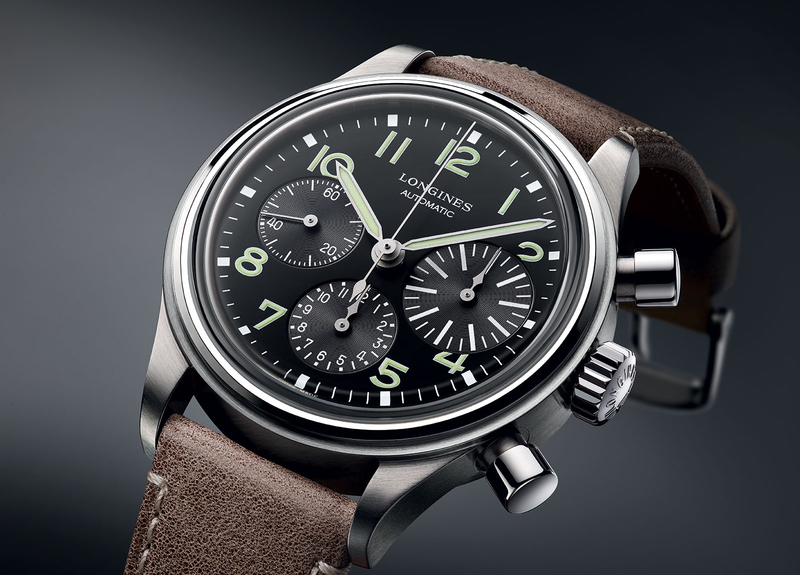 The most interesting being the new limited edition Longines Column-Wheel Single Push-Piece Chronograph 180th Anniversary. 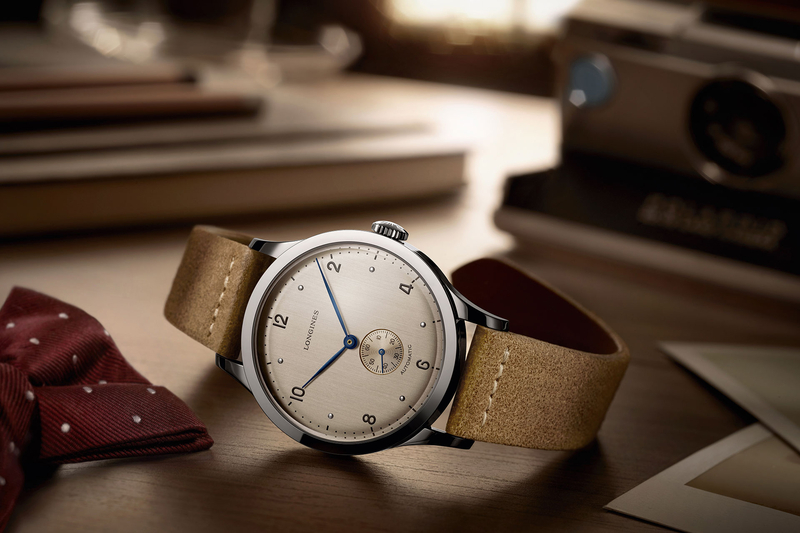 The Longines Monopusher “is closely based on the first wrist chronograph, manufactured by Longines in 1913 and fitted with calibre 13.33Z.” The new model uses caliber L788.2 (ETA A08.261), a column-wheel chronograph movement developed exclusively for Longines – it allows the wearer to activate the start, stop and reset functions of the chronograph with a single pushpiece. Caliber L788.2 is self-winding and has 27 jewels, a frequency of 28,800 vph (4Hz) and a power reserve of 54-hours. Housing the movement is a 40 mm diameter classical round case in fully polished 18k rose gold. Classical horn lugs give it a very distinctive vintage feel. 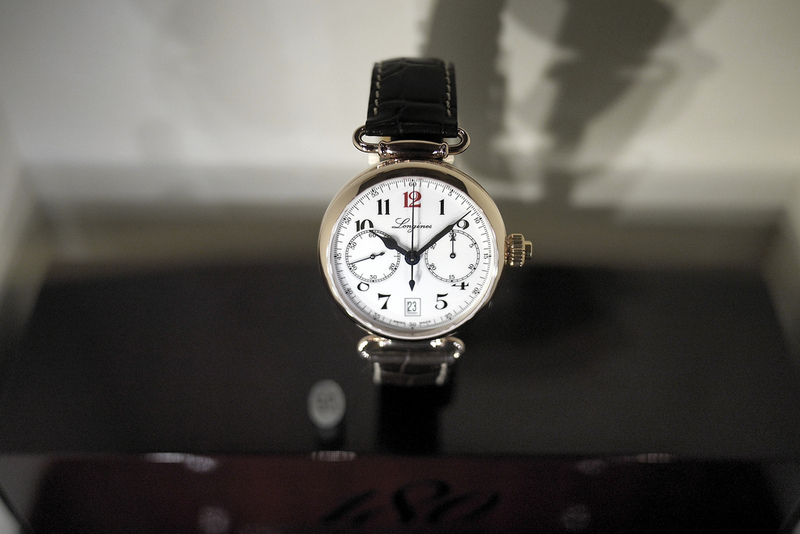 The dial is traditionally styled as well with: blued hour, minute and chronograph central seconds hands on a classic white dial with 8 black printed Arabic numerals and a red “12” numeral. A square date aperture sits at 6 o’clock. At 9 and 3 o’clock, are printed railroad track subdials with blued hands, which display the small seconds and the chronograph 30-minute counter. Comes on a brown alligator strap with matching 18k gold buckle. Water-resistance is 30 meters.